The market will be bigger and better than ever this year, with more stalls, more variety and more locations spreading all the way from the church along the length of the High Street and including Verona's car park. 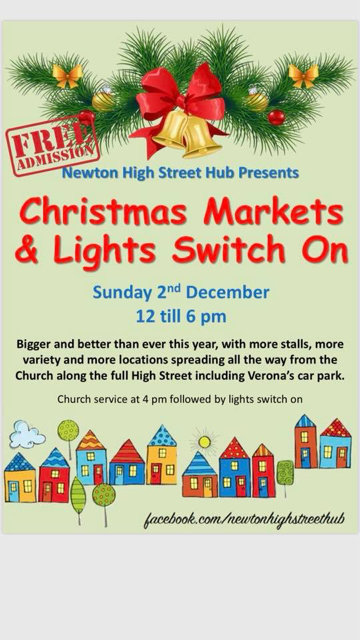 The lights will be switched on following the St Peter's Church service which begins at 4pm. Young children have the opportunity to have their photograph* taken with santa on the sleigh. Children must be accompagned by their parents or guardians and express permission must be obtained from the parent or guardian before any photograph can appear on our facebook or Rotary page. All donations will go towards community projects and or Rotary Charities.